I've been trolling through this forum for a while now, just reading... 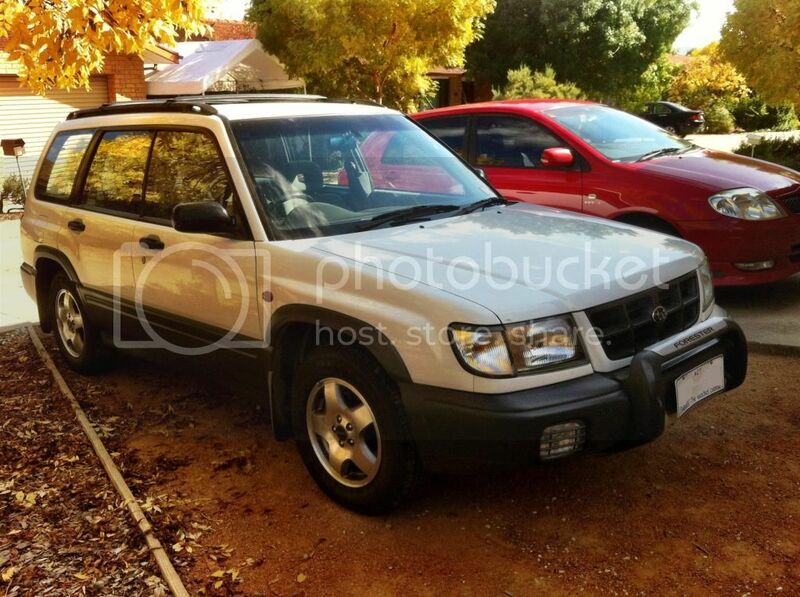 I think it's time to say something about my foz! Billy is my first car. I tried a few cars out before deciding but was sold on him because the AWD system (I like driving offroad) and huge boot space. I move house and everything I own fits in My interests include BMX and MTB racing, skiing and camping so it was the logical choice. White (or gold) wheels - 17s maybe? Last edited by canberrafozz on Tue Sep 25, 2012 5:16 pm, edited 4 times in total. I Say: Black and White music? Now N*gga that's a mix tape! So hope to see this beast running around next to me at some point! That's awesome, what are you moving down for? Team Canbz could definitely use some meets! 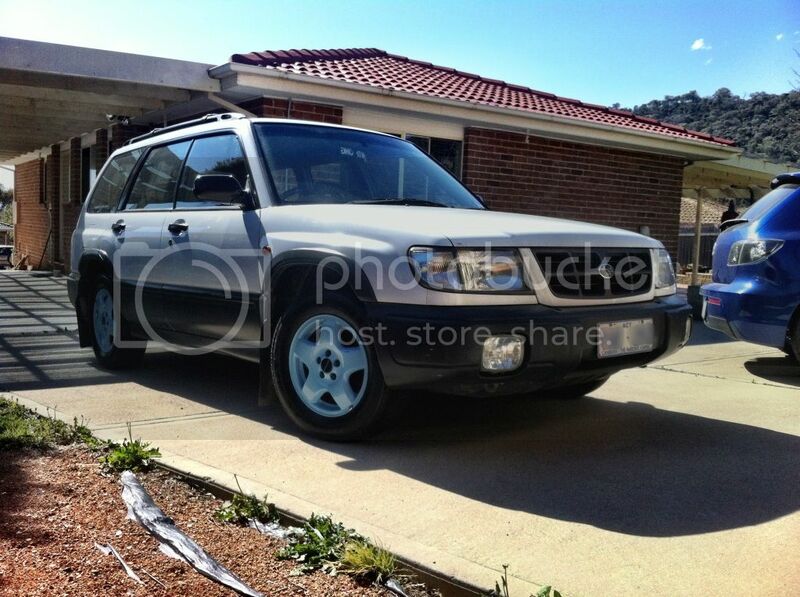 Hey Es, good to see you started a thread for your Foz. You've got a nice list of mods lined up. Your wheels are very similar style to GT wheels, but Subaru didn't bring out a wheel that style in 15" so I'd say they're aftermarket ones put on by the previous owner. Hope to see you around sometime! I think they are stock wheels. Just one of the optional sets for the NA. I've seen maybe one other forester with them. Pics in the wheel gallery thread. Welcome. Will be nice when its colour coded. White wheels really set it off. The good old pep mobile. Pimped out for all da girls up in da hood?